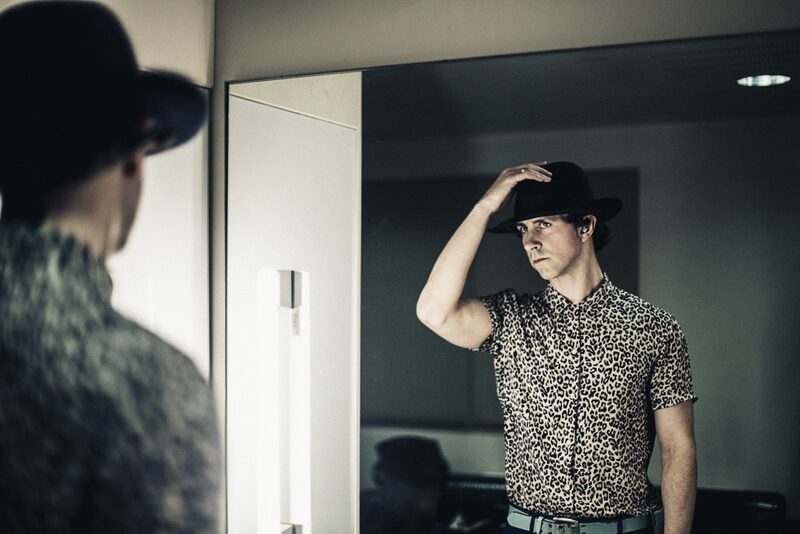 Maximo Park are something of experts when it comes to crafting alternative pop songs. If you don’t believe us, just take four minutes to listen to latest single, ‘What Equals Love?’, taken from recent album, Risk to Exist. With a vocal that’s easily distinguished, lyrics with meaning – now perhaps more than ever – and an oddity to its jittery rhythm, it’s a song that you can’t grow tired of. Seeking an answer with candid intelligence, the band nestle into the subconscious and you can’t help going back for more. 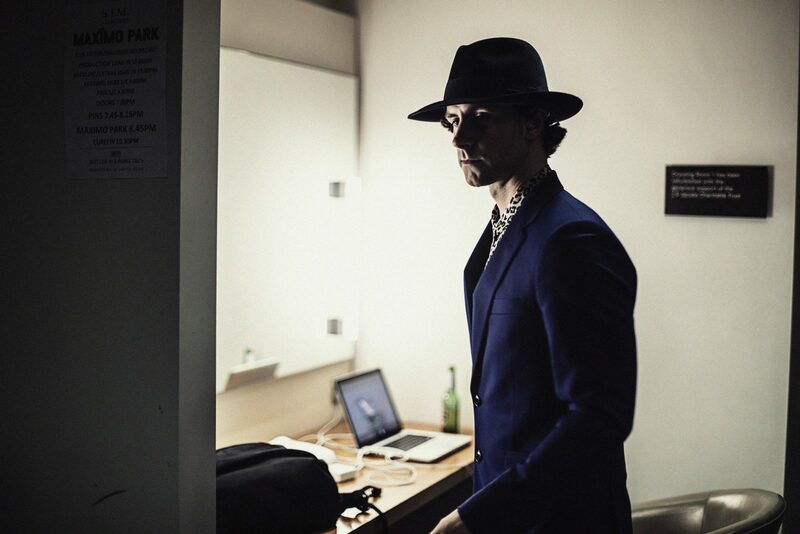 We caught them backstage at London’s Royal Festival Hall on their UK stint. Images by Katy Cummings. 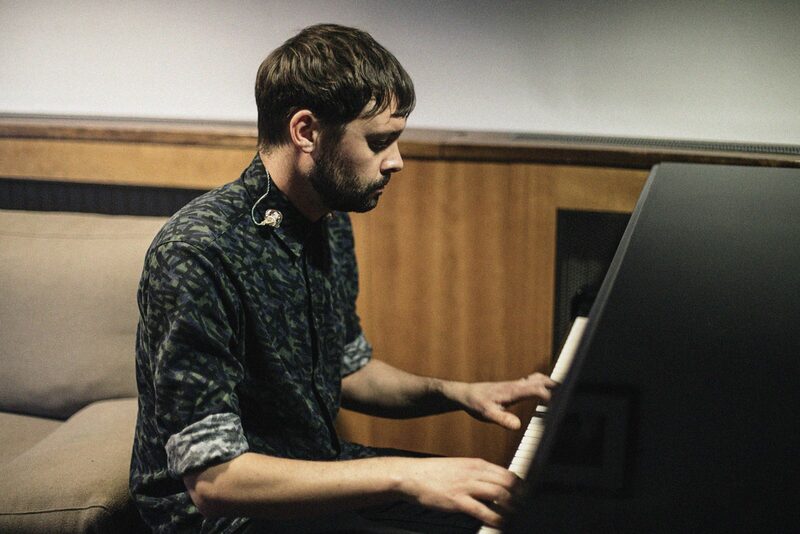 “To play at the Royal Festival Hall was a privilege. I often gravitate towards the South Bank when I visit London, feeling at home in its Modernist concrete utopia! I saw Tony Bennett there recently and dreamed of one day being able to share that same stage. 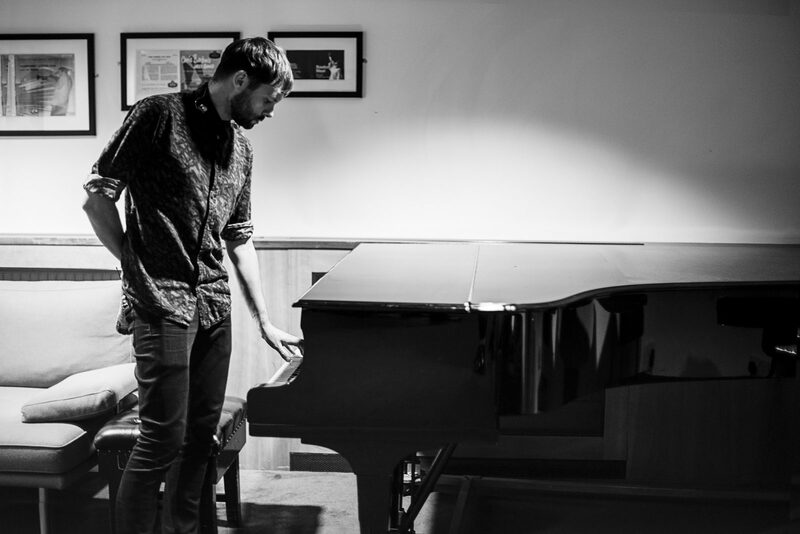 There’s a piano in every dressing room and the historic nature of the building makes it quite different to most buildings we get to play. It felt so good to look out on such a beautiful auditorium and the crowd were on their feet by the end of the first song.